Fall is here and we couldn’t be more excited. 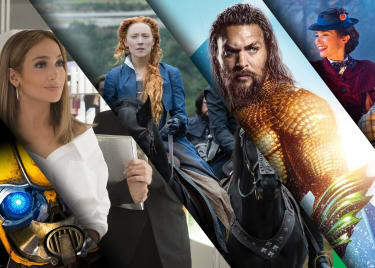 October 2018 is packed with movies we’ve been waiting months, even years to see. There’s Tom Hardy starring in Venom, a wild expansion of the Spider-Man universe, and Bradley Cooper and Lady Gaga’s new spin on the old favorite A Star Is Born. 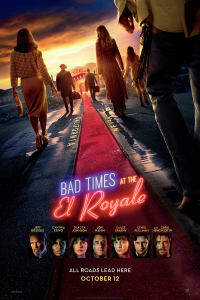 You can see Kiera Knightley give one of her best performances in Collette, and you might find some new favorite talent nestled amongst all the star power of Bad Times at the El Royale. Naturally, we’ve also got horror! Halloween returns with a brilliant new chapter in the story of Laurie Strode and Michael Myers, while Suspiria is a more amazing movie about witches than we could have expected. 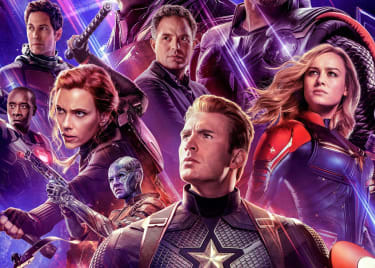 Here’s everything you need to see in October 2018. 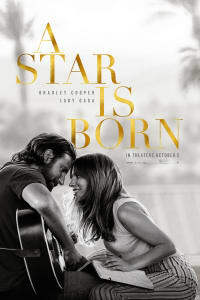 Troubled musician Jackson Maine (Bradley Cooper, who also makes his directorial debut) falls for aspiring young singer/songwriter Ally (Lady Gaga), and propels her into the spotlight. This remake of one of the greatest stories in Hollywood surprises with heartfelt performances from Cooper and Gaga, and redefines the classic story of love and stardom for a new generation. Superstar in the making Amandla Stenberg plays Starr Carter, whose world is shattered when her childhood best friend is shot and killed by police. Pulled between two vastly different worlds — her poor neighborhood and the wealthy prep school she attends — Starr has to decide what she believes in, and figure out if she’s willing to stand up for it. When a Brooklyn man films a white cop fatally shooting a street hustler, he faces a huge question: should he release the video, which will put pressure on him and his family, or should he hold it back from the public, and let an injustice stand? Reinaldo Marcus Green directs this critically-praised story which follows three people tied to the incident. 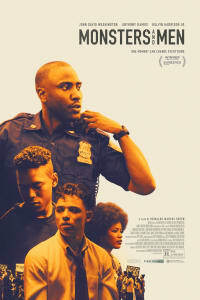 John David Washington, Kelvin Harrison Jr., Chanté Adams, and Rob Morgan star. 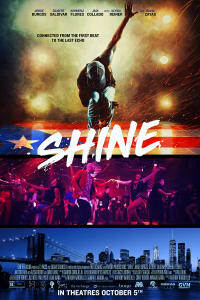 Two Puerto Rican brothers, Ralphi Matas (Jorge Burgos) and Junior (Gilbert Saldivar), are the sons of a famed salsa dancer, but have been separated by tragedy. When they reunite as adults, they find themselves on opposite sides of an ideological divide. One is a dancer and activist like their father; the other is a real estate developer who wants to turn their old neighborhood into a gentrified money machine. Tom Hardy goes to the dark side as Marvel’s toothy and terrifying Spider-Man villain. 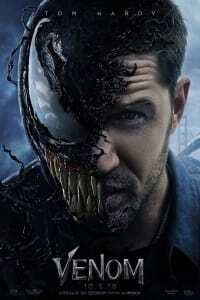 Hardy plays investigative journalist Eddie Brock, who looks a little too closely into the operations of a shady foundation. 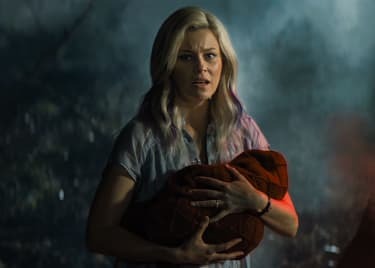 He uncovers a plan to use alien creatures to push humanity’s evolution forward — and soon he’s covered with one of those aliens. The creature forges a symbiotic relationship with Brock, giving him incredible powers. But at what terrible cost? Seven strangers collide at a rundown hotel, where each person’s secrets are brought out into the open, sometimes through violent and devious means. 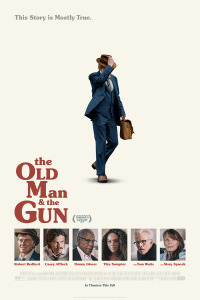 Jon Hamm, Dakota Johnson, Jeff Bridges, and Chris Hemsworth all-star. The film also showcases breakout performances from Lewis Pullman and Cynthia Erivo, who play the hotel clerk and a struggling singer. 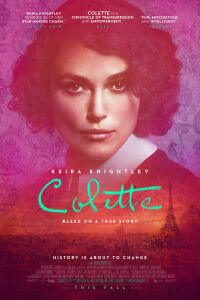 Kiera Knightley stars as Collette, who marries a successful Parisian writer (played by Dominic West) and finds a new life in the chic society of Paris. When her husband asks Collette to ghost-write a book for him, she creates a sensational semi-autobiographical novel, setting the couple up for a battle over creative rights and social roles. 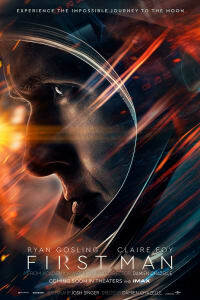 Ryan Gosling stars as Neil Armstrong in the story of the first manned mission to the moon. Set between 1961 and 1969, the film chronicles NASA’s push to send astronauts further than any man had ever gone, and specifically looks at the massive sacrifices required to perform one of the most significant feats in human history. Directed by La La Land filmmaker Damien Chazelle. Two friends stumble across one of author R.L. Stine’s secret Goosebumps books and accidentally unleash Slappy, the evil ventriloquist’s dummy of their nightmares. 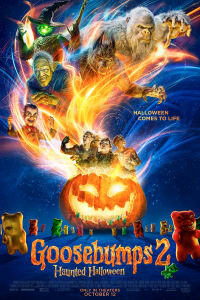 As Slappy begins to turn their city into a Halloween-themed town of terrors, the two friends frantically race to stop his spooky plan. Robert Redford stars in the true story of Forrest Tucker, whose life was a wild cycle of robbing banks and escaping from prison. But Tucker wasn’t a violent man; he primarily used confidence and charm as his weapons. Danny Glover and Tom Waits play members of Tucker’s “Over the Hill Gang,” while Sissy Spacek appears as a woman who can’t quite resist Tucker’s charms. Who could blame her? Forget most of what you think you know about the killer Michael Myers, as this film from director David Gordon Green wipes away all but John Carpenter’s original Halloween. 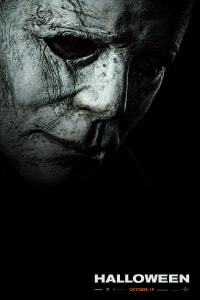 Myers escapes confinement and heads back to Haddonfield, Illinois, to finish the deadly work he started forty years ago — and finds his would-be victim, Laurie Strode (Jamie Lee Curtis), ready and waiting for him. Jonah Hill makes his directorial debut with the story of 13-year old Stevie (Sunny Suljic) who escapes life with his abusive brother (Lucas Hedges) and single mother (Katherine Waterston) by making new friends at a skate shop in Los Angeles. This film is guaranteed to launch careers for the actors who play the skate crew, Na-kel Smith, Gio Galicia, Olan Prenatt, and Ryder McLaughlin. Politics turns Thanksgiving into a battleground when the government institutes a new policy requiring citizens to sign an oath of loyalty to the President. 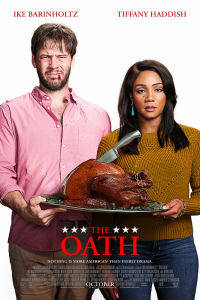 Tiffany Haddish and Ike Barinholtz (who also directs) play a couple who refuse to sign, only to experience a whole world of insanity as their holiday dinner goes so far south they’re going to have to serve dessert in Antarctica. Steve Carell and Timothée Chalamet star as David and Nic Sheff, who are struggling to deal with Nic’s drug addiction. Based on dual memoirs written by the real-life David and Nic, and directed by Felix Van Groeningen (The Broken Circle Breakdown). 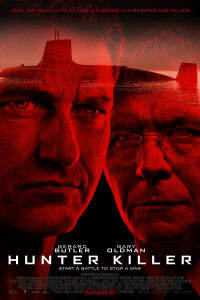 Gerard Butler plays an American submarine captain who gets a chance to stop World War III when the Russian President (Gary Oldman) is kidnapped in an attempted coup. When Army Chaplain Darren Turner is deployed to Iraq, he has to learn to deal with the realities of war, while he wife Heather carries on with something like normal life back at home. But when Turner returns home from war, his homecoming turns out to be more difficult than expected, and his family’s strength and faith are put to the test. Rowan Atkinson returns as the hapless spy Johnny English in the sequel to 2011’s Johnny English Reborn. When a cyber attack exposes all active espionage agents, the British government is forced to turn to retired operatives — and so the dopey and accident-prone English goes back into action. They might as well just give the bad guys whatever they want. What a great month! We’ve got every taste covered, from freaky Halloween movies (not least being the first actual Halloween movie in years!) to directorial debuts, Oscar hopefuls, and great comedies. Get your tickets for October’s films now!